Foremost I love the Lord, His written Word, and the Family of God. My income is primarily derived from rental properties, and selling law related briefs with other law information. I also counsel people across the country in living independent of the corporation called the US INC. I am technically a lawyer, counsel, and not a BAR associate attorney. I understand that the elect of God should promote the Kingdom of God (and His dominion) “on earth as it is in Heaven”. I am a serious student of Biblical law, and constitutional limitations of the US Government. I have been in court over 350 times. Arrested, oh I lost count. I have received numerous death threats that have come from US STATE agents, judges, and various officers. Many harassing bogus misdemeanor charges. (Mostly Municipal Housing Codes, right to travel actions, or related acts, one federal case that I essentially stopped them from giving me a max of sixty (60) years, the first person to win a federal case in that district in ten (10) or more years.) I file no Federal Income Taxes (1040 Form) since the year 2000. (No filings in any form. )(Always demand a 6203 Assessment when confronted.) I do not pay STATE income tax, or sales tax on major purchases. I pay no COUNTY property taxes though I owned over 28 properties (28 buildings). ( I believe I have discovered a “filing for record” process that takes my Land off the taxable roles. ) I do not vote for UNITED STATE, or NEBRASKA STATE, County, or City governing officers. An American by birth right. (Not a US citizen.) I believe in full support of the “perpetual Union” as found in the second of four constitutions, “Articles of Confederation”. I have discovered that a “free American” has the standing to choose to live independent of the corporate US governments, and its legislative statutory courts in the vast majority of his daily life, and to be forced to do otherwise is slavery. I know how to utilize ‘common law courts of record’ for every act on American soil. 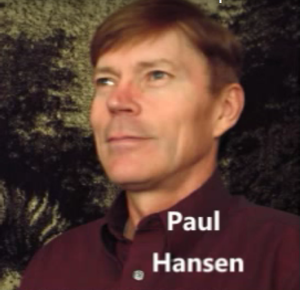 Paul John Hansen, 488 pearl Lane, Repton, AL 36475, a post location without the United States, not a resident address. No, I just study law with a passion. I do work with one graduated law student that refuses to get a BAR Association Card. The hardest part of law is to know how to divide the truth from the near truth or half truth. I do not want a BAR control card. One attorney who was also the mayor of the City of Omaha, Nebraska said that a Bar Card is a license to steal. This I have personally witnessed many times. What is your position on property rights as to the government wanting to require licensing for rental property?? IMHO I think some of the arguments on the right to travel could be applied to property rights. A lot of cities are making property owners get a license, but only if the have more then 4 units. 1. I would think you could use the argument of unequal protection, etc. I have discovered a few other discrepencies, which I will get into later. Government License is requiered only when an act is prohibated without it. How can Gov. prohibit the use of your private property? If the land is not owned by the USA it is private property. Such land is governed by common law, not city/state statute. If you get a license then you are subject to that license, absent fraud. You must put the question to a qualified gov. agent and have him answer your question, idealy under oath, or at minium sighned in blue ink. Am I, as a free inhabitant, not a resident, national, or citizen associated with the United States of America or any subdivision of the United States of America or the United States, subject to _________________, if yes why. Does the United States of America or any of its subdivisions own the subject Land. Gov. only has authority to license that which they govern. I do not know what a IMHO refers to. No where in my study does a knowledgeable law figure claim “national”. It is not good to claim anything, rule number one never make a claim / statement, but always make them prove up their claim. I am being subpoena by the IRS and I don’t believe they exhausted all of their remedies….I need some verbal assistance…and I am not looking for legal advice…. >>Above all do not go to “Tax Court” unless you are a “tax payer”. Demand 6203 every time. Never go on Federal Property (Court) without notice of special appearance (immunity). You put forth an interesting view of the laws of this once-great country. As a resident of Montana I hold my ‘freedoms’ dear, and am most interested in your teachings. Thank you for being a Freedom Warrior; we need more people like you. I have power of attorney for an 82 year old lady, she is quite sharp and intelligent however, her predicament has tired her. I have learnt I cannot represent her in court so now she will have the carpet pulled from under her and she may be fined another huge sum for camping on her own land. Under the Health Act she and her daughter have been fined in excess of 260,000.00 by the state administrative tribunal and from the council another $38,000.00 each for their fines and charges. Its a travesty of justice that these two have such huge fines, since they are pensioners and the daughter is now in jail (age 60). I cannot help them as there seems no way out or nothing in LAW to help them. Email me pauljjhansen@hotmail.com, I can show you how you can be common law counsel for her. Read “counsel” on my site. Hi, I not very good at the computer, yes I will now go into “counsel”. Where do I find a common Law Lien? What is the process of filing one? Do you offer any help with doing a Common Law Lien? If so what do you charge? How to I learn more about Common Law? Do you provide any training, support? If one operates in todays court system and they want to operate in common law where would they find any and all the common law documents? How do we learn are rights as a soverign person? Do you know anything about Foreclosure and how to stop them with using Common Law or any other process or method? I’d like to learn more about Common Law, our rights (etc) so I would appreciate you getting back to me on this. >>I sell them with counsel time of 25$. Do you offer any help with doing a Common Law Lien? If so what do you charge? How to do I learn more about Common Law? >>Do you provide any training, support? If one operates in today’s court system and they want to operate in common law where would they find any and all the common law documents? >>US courts use common law principals, they are not common law in any way. Common law is non-statutory. How do we learn are our rights as a sovereign person? >>We are not sovereign, but one can be independent as a free inhabitant. Iâ€™d like to learn more about Common Law, our rights (etc) so I would appreciate you getting back to me on this. I am sick and tired of the IRS harrasing me over an income tax in which I do not owe. or date. When I receive my court date, I will be prepared. My question is simple. What would or could I say in court, that might in my defence be upsettng to the tax court judge? If you go to TAX COURT you will lose your case, tax court is â€œin their written lawâ€ is “only” for “taxpayers”. TAX COURT It is a trap, it gives them â€œpersonal jurisdictionâ€ (which they can only get in most cases by your consent) because you paid for their services, a contract for them to determine, thus you are communicating (paying them) they have the authority to make that determination, and believe me they are determined to do just that. Tax court is â€œonlyâ€ to determine how much you owe, not a court where you challenge them to prove you are a type that has a legal duty to file and pay a treasury tax (IRS). makes $3500.per year. You figure out how much tax my agent pays. http://www.detaxcanada.org for the usa tool. If you are using gold base, that is very dangerous, they are prosecuting for that, 6203 Demand is the best defense by far. Just order the 35$ package. I have paid the $5 for the presentation. How do I download it to my Mac? I bought your free inhabitant package, and enjoyed it. I emailed you about being able to travel on the highways, or through airports as a free inhabitants, and you suggested I pay for a counseling session with you for $25. I am ready to move forward with that when it works for you, too. I purchased your free inhabitant package, and found it vary informative. It does put a different perspective on our daily life. Property Tax Brief. Case Document Filings and Case Chronology. Notice upon acting Attorney of his violation for practicing law under a State Attorney License outside of his jurisdiction, and attempting to compel his clients to pay him to apply State taxing statutes upon non-State lands. Opportunity to purchase the “Property Tax” Power Point Picture / Audio Presentation for 5$. but there is no $35 buy now button. Paul: What do you think of an Escrow Account for property taxes, payable upon proof of an actual state “interest or right” regarding the property in question?